Welcome back to my Photography 101 series! I'm so glad that you have decided to join me. Today I will be talking about how to use your camera's exposure meter. Every camera's exposure meter display is going to be different, so you are going to have to dig out your instruction manual and read up on yours. I shoot with a Canon, so the exposure meter on my camera looks very similar to the one in the photo below. I have outlined the exposure meter in red. Underneath the 0, there is a small black bar, indicating that the current settings for aperture, shutter speed, and ISO combine to create a properly exposed photo. If the settings weren’t set for a properly exposed photo, that small black bar would be on one side or the other of the 0. The farther the bar moves from the center point, the more the settings need to be altered to create a proper exposure. As the bar moves into the minus, it is indicating that there isn't enough light and the photo will probably be too dark (underexposed). As the bar moves into the plus, it is indicating that there is too much light, and the photo will probably be too light (overexposed). One important thing to keep in mind is that there isn't ONE combination of settings that will lead to a proper exposure. Instead, there are several different options you can pick from, all of which will result in a good quality photo. 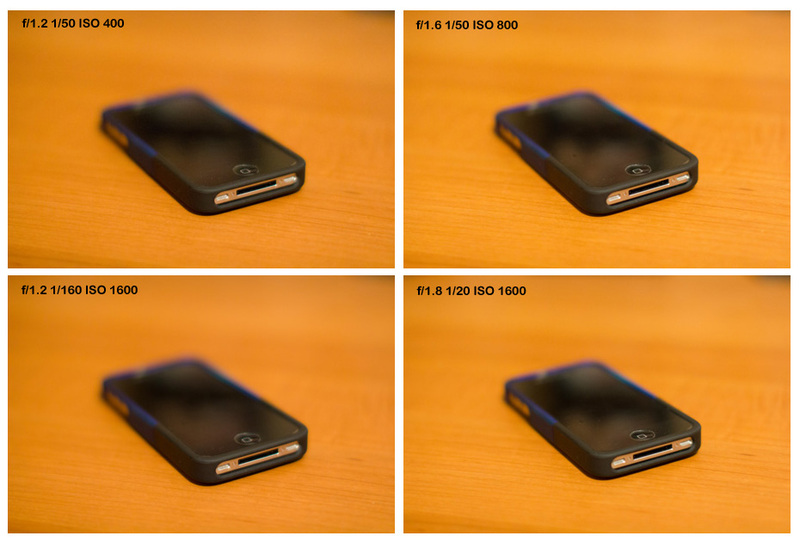 To demonstrate this, I laid my iPhone on my desk and snapped a few quick shots of it using different combinations of settings, which I included with each image (with a typo - the bottom right photo was shot using a shutter speed of 1/80, not 1/20). I picked the different settings at random, and simply dialed in different combinations of Aperture, Shutter Speed, and ISO settings until the exposure meter showed a reading at the 0 mark. As you can clearly see, the exposure is the same in each image; therefore, they are called equivalent exposures. This must mean that there are reasons other than exposure for selecting different settings, right? That's the fun part of photography (which will we start exploring in coming weeks)! The important thing to realize right now is that you can use your exposure meter to help you pick different combinations of settings to properly expose your photos. See, it's not as hard as you thought! OK, now hang in there with me as I get a bit more technical and talk about the different types of light metering options. First, there are two different ways to take a reading of the available light for your photo: using reflected light and using incident light. A meter reading using reflected light measures the light coming off of your subject back towards your camera. Most built in camera meters measure reflected light. A meter reading using incident light measures the light falling on your subject from the light source. Most meters that measure incident light are hand-held meters that are separate from your camera. Second, there are different ways that your camera can measure the amount of light reflecting off of your subject by changing which part of the scene it uses to take the light reading. The options available on my camera are Evaluative Metering, Partial Metering, Spot Metering, and Center Weighted Metering. Again I shoot using a Canon, so my options may be different than yours. Your instruction manual should explain your options and detail how each one of them works. Third, the light meter in your camera is designed to measure the amount of light reflecting off of your subject and to calculate the exposure that will result in an overall level of light in the resulting image that is equivalent to 18% grey. This assumes that each scene is made up of a combination of very bright, very dark, and everything in between, which can all be averaged out to 18% grey. Most of the time this will work out just fine, but there are circumstances where this assumption will result in your photos not being properly exposed. As you gain experience with manual mode, you will slowly start to realize the circumstances where this happens, and learn to compensate to get a proper exposure. This week, start practicing using your camera's exposure meter to help you select different combinations of settings that will result in properly exposed photos. The more you get used to doing this, the easier it will be for you to shoot in manual mode all the time. 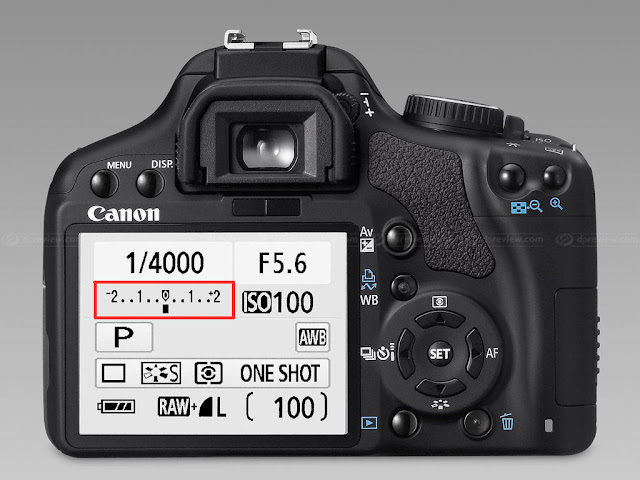 You have now learned the 4 most important things you need to know to shoot in manual mode. Now the fun begins. Next week we will talk about how to control the Depth of Field in your photos, which is the absolute best thing about shooting in manual mode, in my opinion!